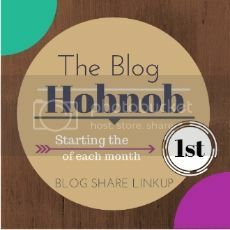 The Blog Hobnob, formally known as my Blog Hop Social. I decided to make some changes to how the old Linky worked. Here are the new guidelines. This Blog Hop is a Meet & Greet where you can connect and network with other bloggers in various genres! Link up below and check out other blogs, follow them on social media and leave a nice comment! Super easy to make new friends! This is a monthly Link Up. It will start on the first day of the month and will stay open until the last day of the month. So stop back by and check out who’s new each week! Do not link to a post. This is not a Post Linky Party. Add my party button, make a new post on your blog and share the party! Just how do you make this Blog Hop work for you? Well you follow each member on Social Media and leave a comment! Get to know your fellow bloggers! It only takes a few minutes a day to make a friend!